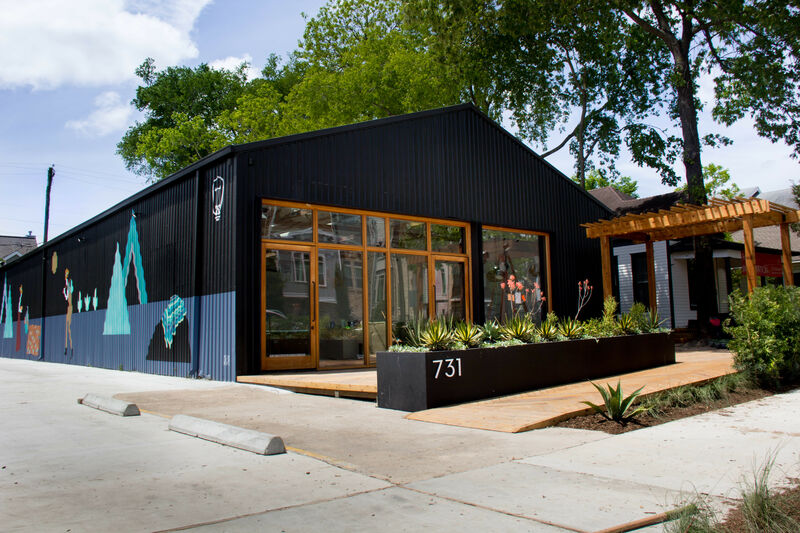 A mural by Houston artist Janavi M. Folsbee decorates the LAUNCH pop-up space. It should be fairly simple for the Super Bowl crowds to get a great impression of the Houston food and drink scene—after all, some of the city's best bars and restaurants are just a stone's throw from the highly trafficked, visitor-friendly areas of downtown. 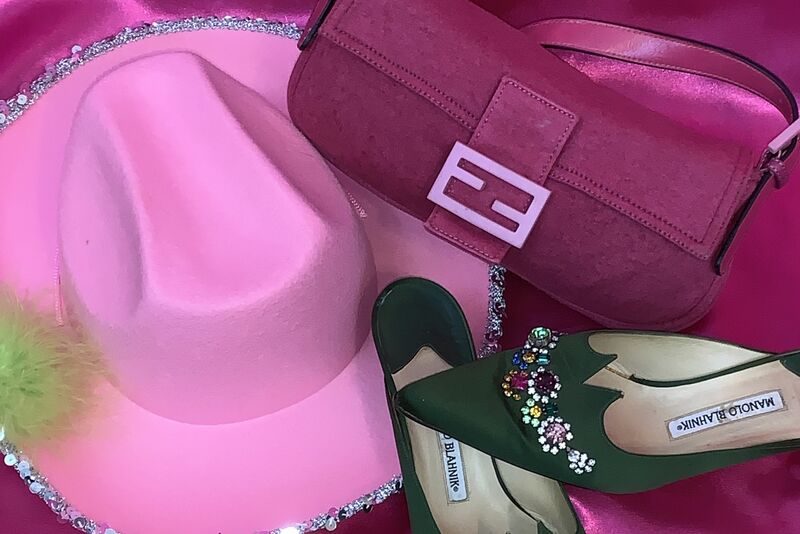 But the Houston designers and brands that are equally deserving of a broader audience are a little harder to find, with many of them tucked away in warehouse studios, selling online only or found at monthly markets. Local lines on display in the LAUNCH pop-up space. 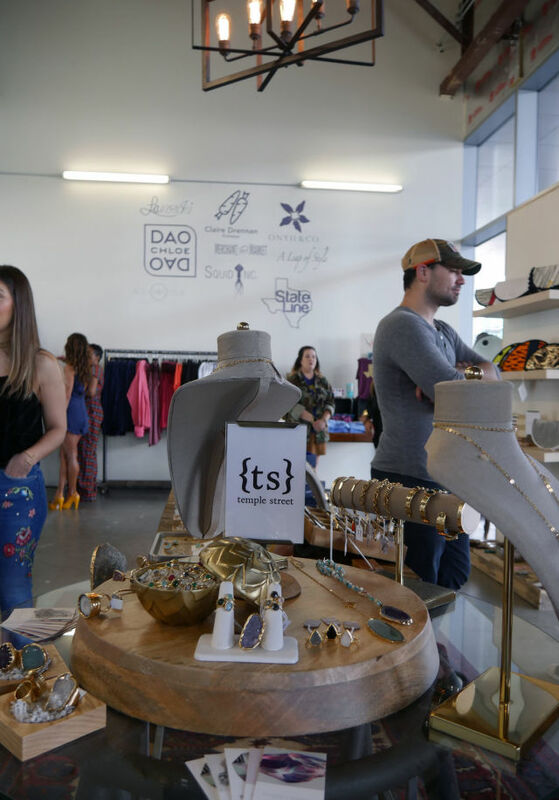 So public relations expert Sydney Dao had an idea—why not bring several local designers together to showcase their wares in a more obvious and tourist-centered spot? 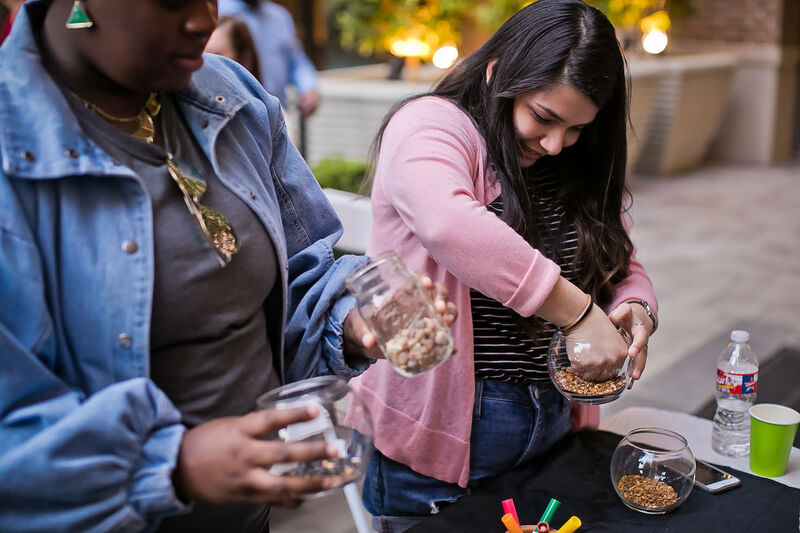 Joining forces with the Houston First Corporation, she's gathered 13 great Houston brands into a pop-up space in Partnership Tower across the street from the George R Brown Convention Center and caddy-corner from the sparkling new Marriott Marquis. The building will eventually hold a hotel in addition to the current office space, but Launch has carved a chic, slightly industrial boutique out of the the unfinished ground floor space, with custom lighting and vintage furnishings by Gino Vian of Merchant & Market and a colorful mural by artist Janavi M. Folmsbee adding some flair. The mix of wares is on point as well: there are racks of elegant Super Bowl party-ready dresses from Dao Chloe Dao (yes, Sydney is her sister), modern clothing from African-inspired textiles by Onyii & Co. and A Leap of Style, leather goods from Stash, dreamy art-based scarves by Marilyn Biles, Texas-centric tees from State Line Design, Edwige Pierre's sharp menswear, gemstone jewelry from Temple Street and Brenda Grands, illustrated goods by Rongrong Devoe and one-of-a-kind knitwear and accessories by La Mochi, KisaKisa and Claire Drennan Knitwear. 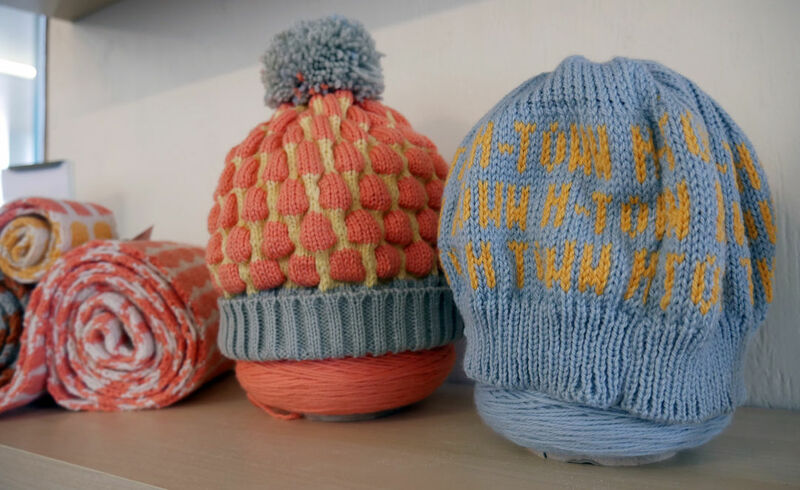 If it ever gets cold, you'll want to have this H-Town beanie from Claire Drennan. 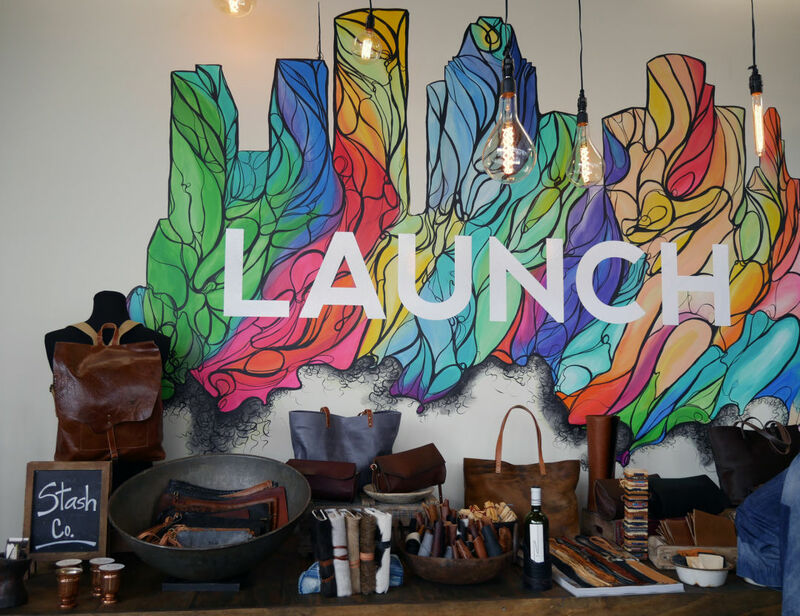 “Designers and artisans here are creating and producing elevated, high-quality goods. It is time to show the world that one can have a successful creative brand out of Houston, and to have the support of Houston First Corporation means the city itself recognizes the talent and economic potential rising from this community,” Dao said in a press release, and in her introductory remarks on Friday, Dao also took pride in how the designers represented mirrored the vibrant diversity of Houston itself. 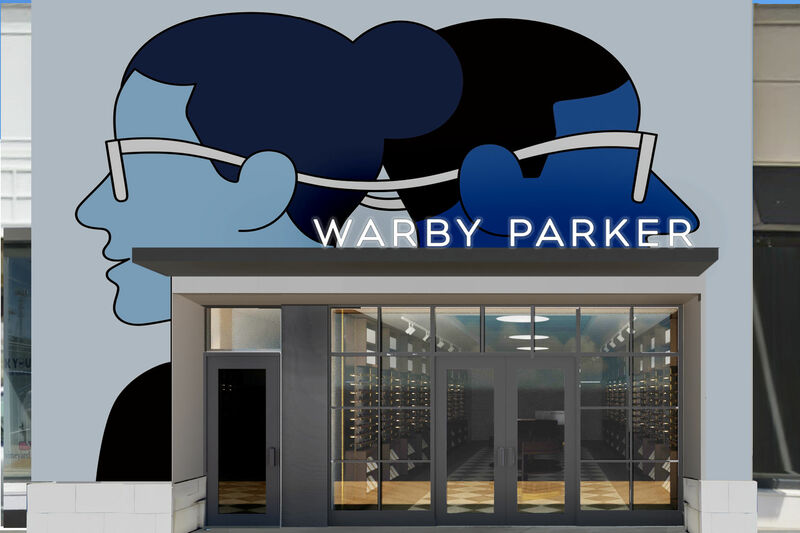 LAUNCH opens to the public on Saturday, Jan. 14 at 701 Avenida de las Americas and will be open Monday–Saturday from 10 a.m. to 6 p.m. and Sundays from noon to 5 p.m through Feb. 26.